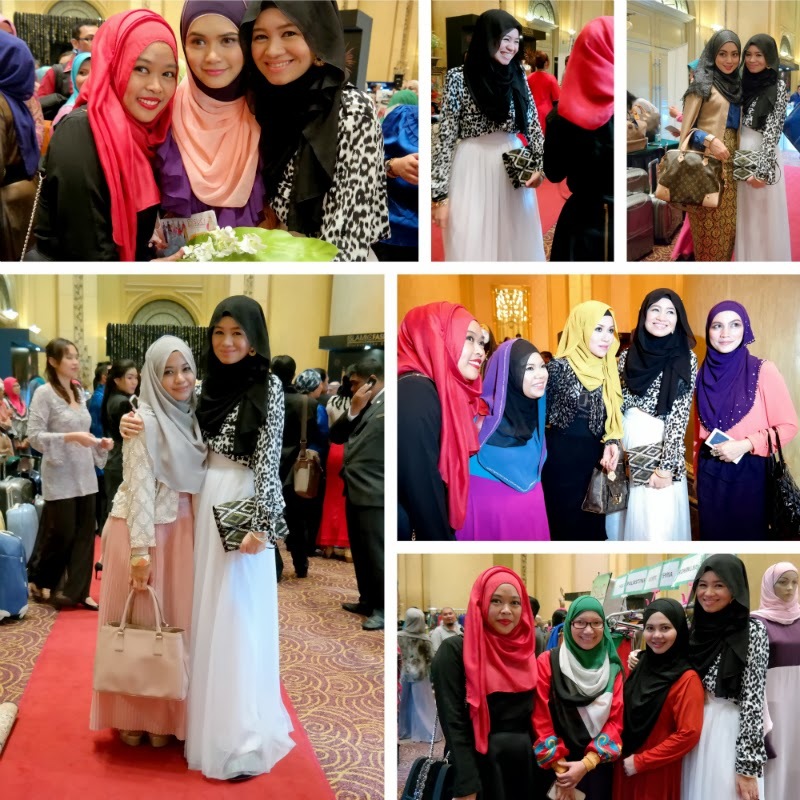 On 19th November 2013, I attended the Islamic Fashion Festival held at JW Marriott with my GAYA team Hasanah Hilmi and Yasmin Bahrudin. This year the tagline was Discover the Beauty of Modesty presenting KL London Paris New York. It was a short and sweet event during brunch and I met some friends and fashion lovers at the event. We arrived early. One of the first few faces I met there was Shea Rasol. I love how down-to-earth, unpretentious and humble this girl is. We just couldn't stop talking to each other during the entire event! Of course we just had to take our look shots outdoors together before the show started. We sat together through the whole event and I was happy that we managed to catch up on a lot of stuffs. Shea also generously shared photography and blogging tips since she's been actively blogging for the past few years. The tips really mean a lot to me, coming from a true blogging pro! I remember the first time I met her was during Day 3 KLFW RTW IFF 2013 after being only online friends for quite a while. Sometimes, we are lucky to get to meet people that we can just click instantly. I'm so blessed to meet a sweet soul like her and it is always nice to bump into her. I planned to post some of the more interesting photos I took of the fashion show but my photos of the show didn't turn out as good because our seats were quite far from the stage. They served brunch and I loved the satay and the popiah served. 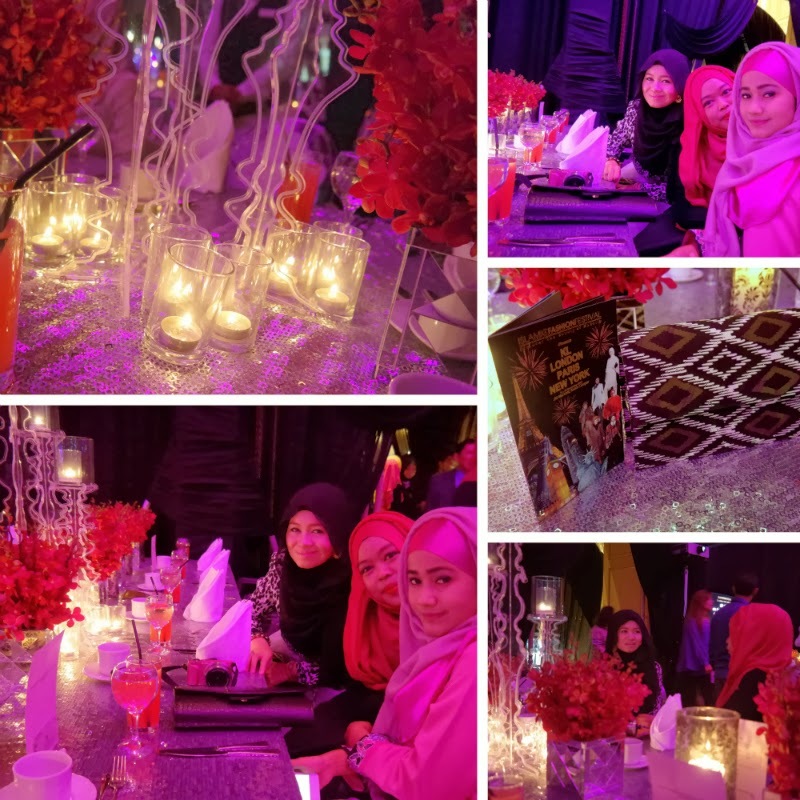 The deco was beautiful and I felt like I was at a western wedding event because of the way they arranged the seating. To my surprise, after the look shots were taken, I received a belated birthday gift from Hasanah Hilmi. 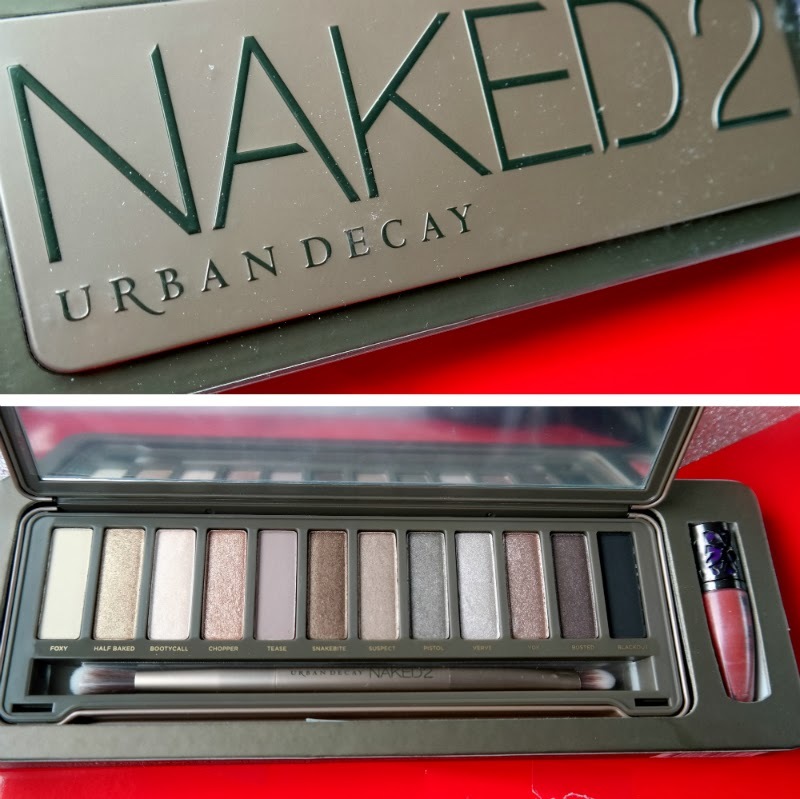 The Naked 2 make-up kit! I was so excited when I received it. My new toy :) I go a little crazy when it comes to cosmetics! I just love ur dress !